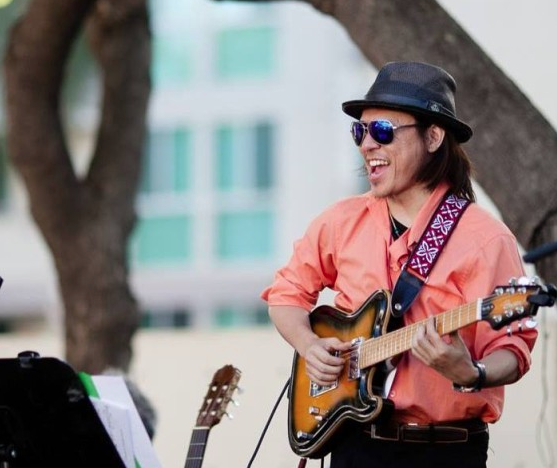 GARDENA — The outstanding piano-guitar duo of Boy Katindig and Yu Ooka will return to Wine Bar Can-Zo for a one-night-only performance at 7 p.m. on Saturday, Aug. 27. Katindig made a splash as a pioneering fusion/contemporary pianist and is a jazz icon in the Philippines. Having started his career at the age of 14, he is among the most recorded multi-keyboard players of his time. He has worked with the likes of Eric Marienthal, Regina Belle, Abraham Laboriel Sr., Russ Freeman, Gerald Albright, Brandon Fields, Michael Paulo and Pauline Wilson, among other artists. Ooka has played alongside many jazz legends, including Billy Mitchell, Barbara Morrison and many more. His latest album, “Vegas Drive,” features Katindig, Morrison, Paulo and Patrice Rushen and was produced by Shun Suzuki and Derek Nakamoto. Can-Zo is located at 18212 S. Western Ave. in Gardena. For more information on performance dates and recorded music, visit www.yuooka.com.